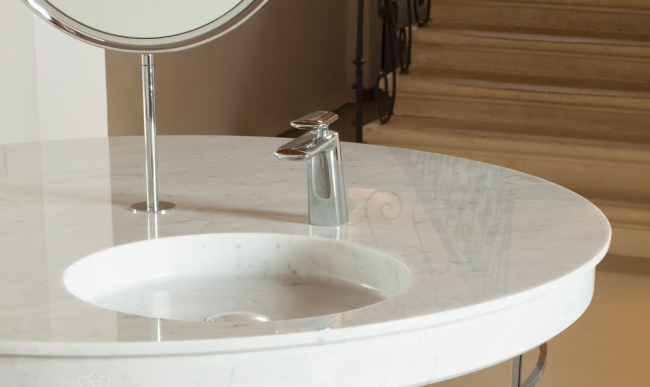 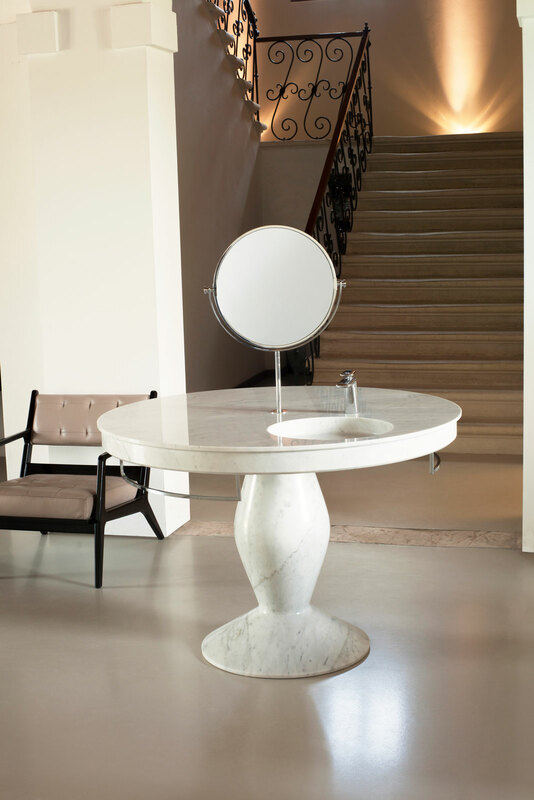 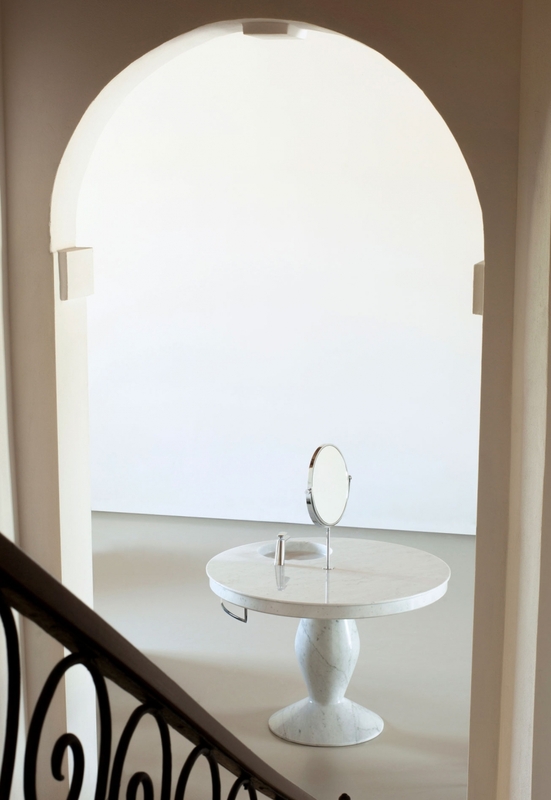 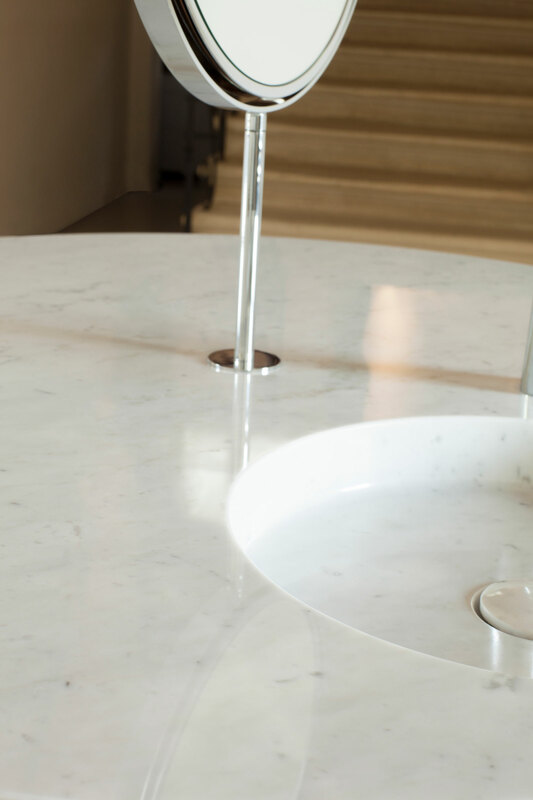 This is the exquisite and luxurious Marble Limited Edition about the first Vanity released at 2010. 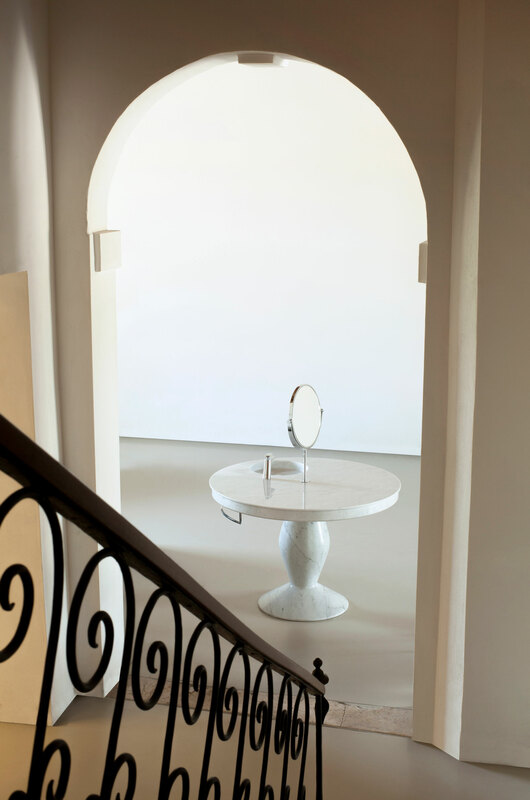 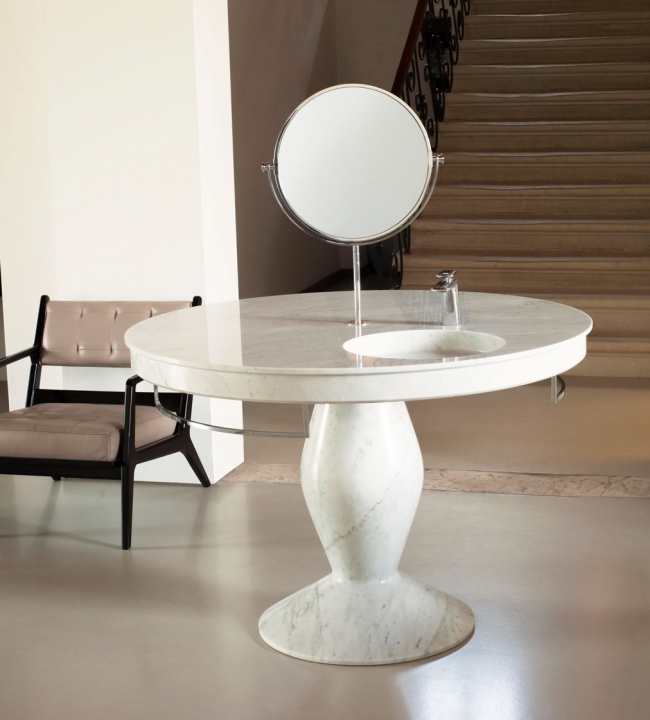 Iconic by definition, egocentric and unique; the Vanity is a product essentially made up of quality materials, designed for furnishing houses of prestige and exclusive environments. 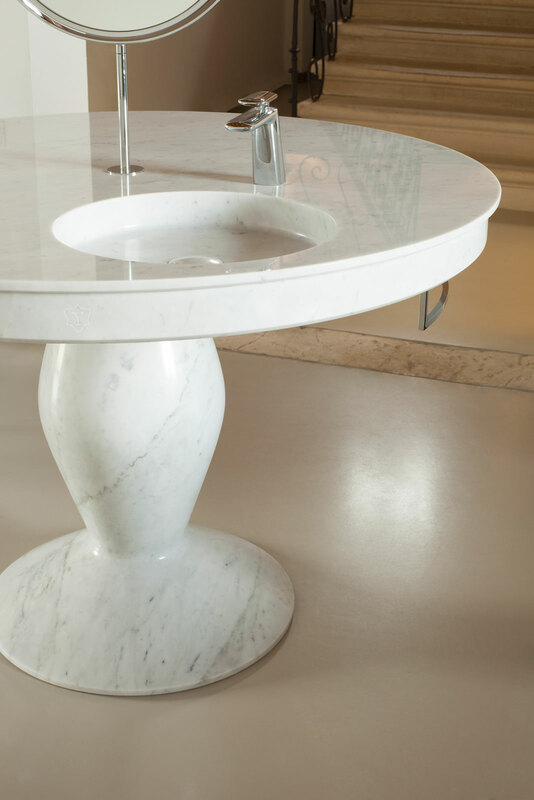 Emanating art and design, the Vanity proposes a new way of envisioning the bathroom area. Its functional countertop houses a table top mirror and a built-in wash basin.